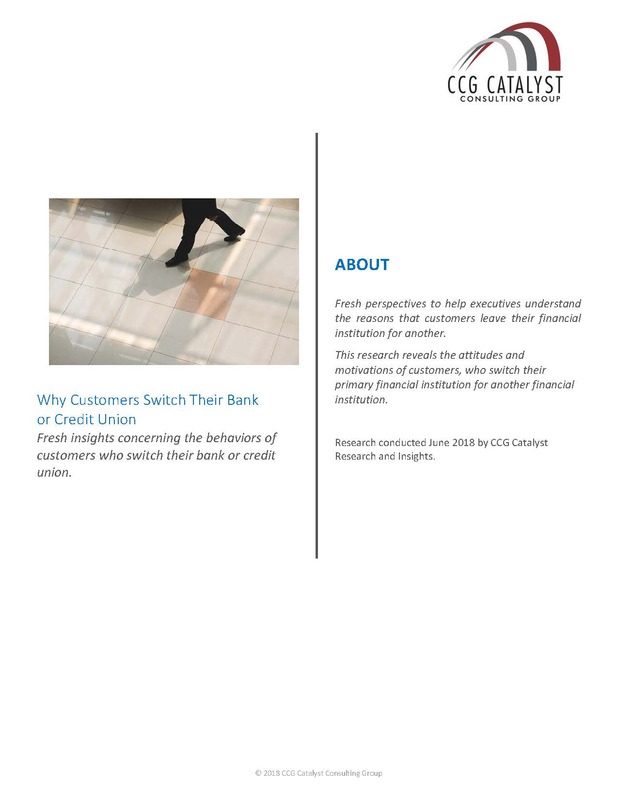 Download “Abstract: Why Customers Switch Their Bank or Credit Union”, fresh perspectives to help executives understand the reasons that customers leave their financial institution. 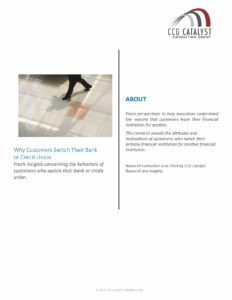 This research reveals the attitudes and motivations of customers, who switch their primary financial institution for another financial institution. Research conducted June 2018 by CCG Catalyst Research and Insights.